This is the first time I have been supported by the Dave Rayner Fund and I am honoured to be a part of this prestigious organisation! I have always been inspired by the riders that have been on the fund who have went on to do great things on the bike and it makes me realise that I’m not far off and with the Dave Rayner Fund backing me it gives me great confidence! 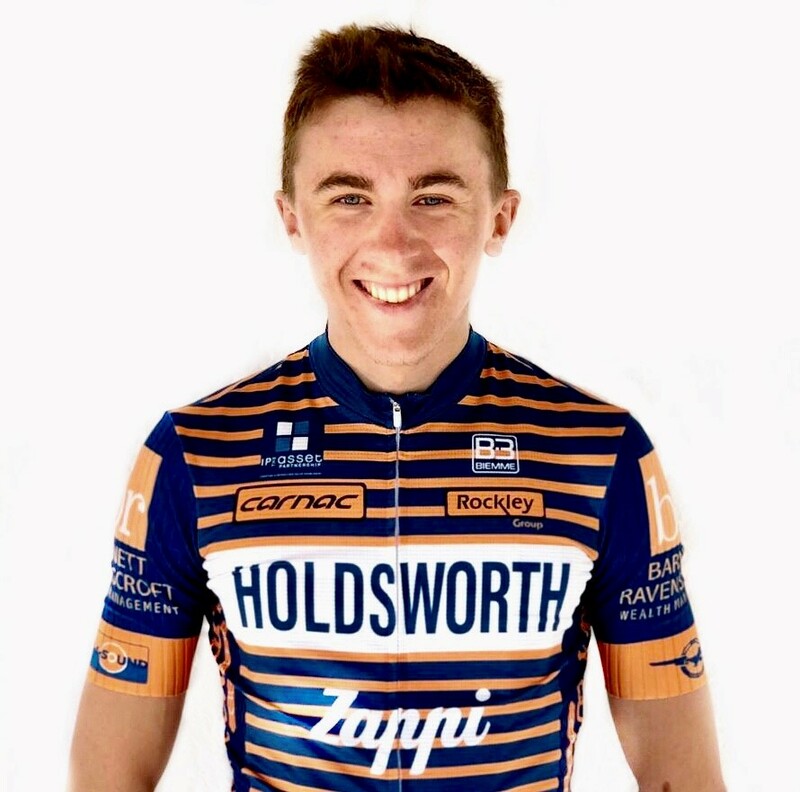 In 2019 I will be riding for the newly named ‘Holdsworth - Zappi Racing Team’. I have been riding for Zappi for just under 2 years now and loving every minute of it. Being on this team has really made me realise that this is what I want to do for a living. It was set up by Flavio Zappi, a successful ex-professional cyclist and now coach, with a heap of experience and a strong ethical view on healthy racing. Flavio does thing’s old school so it might not work for most but it works for me! We stay in Calpe for 3 months for training and then come end of March we make the move over to Italy to a place called Cervia where will begin the serious racing. The team has a very strong social media following thanks to Flavio’s live videos on facebook where you are able to keep updated on the team’s progress and watch some of the top U23 UCI races live from the team car. He has always done this since the team started and is sometimes known for his popular line ‘keep you updated guys, Ciao!’ The team also has a fast growing Instagram page where we show off our flashy Holdsworth bikes and Biemme Kit along with training videos so it has a bit of everything...The team website is also a super helpful platform as you will be able to see some of our upcoming races and get to know the riders on the team this year. We have a very exciting year ahead with more races than ever this time reaching more parts of Europe! The biggest races being the U23 Giro d’Italia, Giro Della Valle d'Aosta, Piccolo Lombardia just to name a few. Last year Flavio gave me incredible opportunities to ride these races and I was super grateful for that. I was able to find out how I would cope against the best in the world and especially in the Giro which was 10 days! This year we have numerous U23 UCI races along with a heap of Italian National’s and a good few stage races so it’s looking to be a tough year but I’m for sure looking forward to get stuck in. Where are you going to live? We are going to be living in Cervia which is on the Adriatic coast (east coast) of Italy. It’s pretty special because this is where the famous Marco Pantani grew up, lived and trained so it gives me extra motivation in a way! For the 2019 season we have many great sponsors on board. The biggest being Holdsworth Bikes who have supplied the team with there ‘Super Professional’ frame in the orange and blue colourway which goes hand in hand with our kit which is supplied by Biemme! You won’t be able to miss us in the peloton.